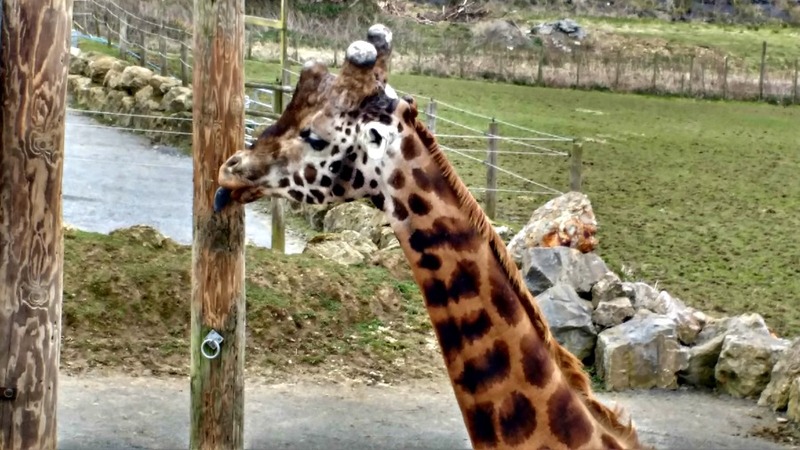 Folly Farm is an adventure park and zoo in Pembrokeshire, and with 50% of the attractions and activities undercover it is a great day out even if it rains. 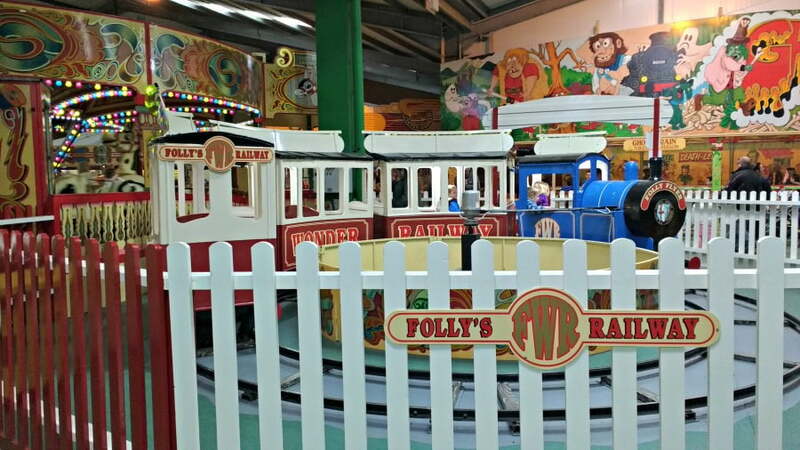 There are loads of attractions at Folly Farm, but the main ones are the Vintage Funfair, a Farm, a Zoo, and the amazing indoor and outdoor play areas. 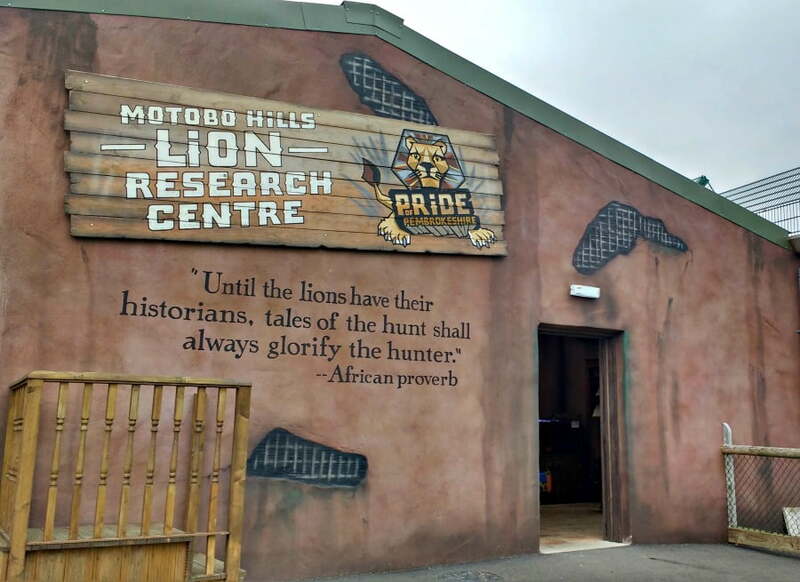 We visited on a cold rainy day when we were on holiday in Pembrokeshire, and were pleasantly surprised by the range of activities which were suitable for toddlers and young children. The park does get busy in school holidays, but we were offered a wrist band to put on our children’s wrists with our phone numbers on in case they got lost. The zoo has a huge variety of animals which you can get close to when visiting this area of the park. There are Giraffes, Rhinos, Lions, Penguins, Camels and Zebras just to name a few. There are also various talks throughout the day where you can find out more about the Rhinos, Giraffes, Lions and Penguins. The farmyard has loads of farm animals which little ones will enjoy meeting. Some of our favourites were the ponies, pigs and rabbits. These all live in a large barn which is undercover so you won’t get wet if it is raining. There are also various sessions throughout the day so children can meet the animals. 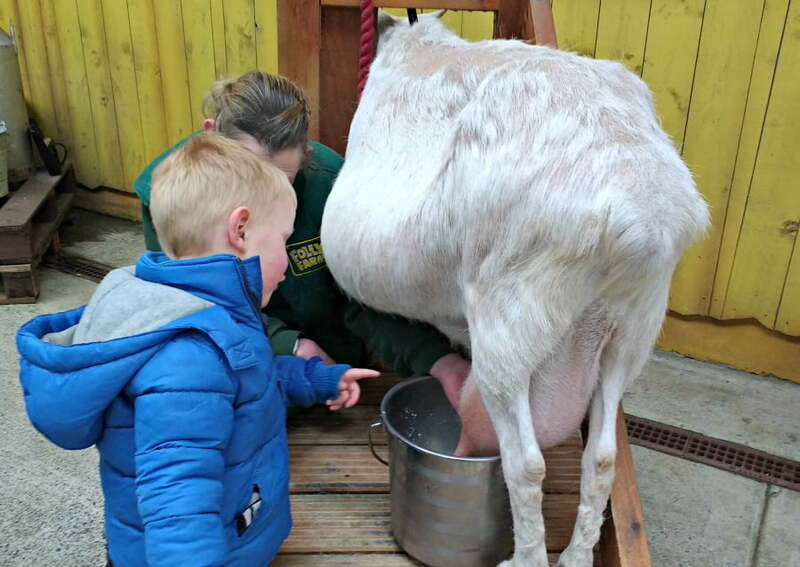 My toddler was also lucky enough to have a go at milking a goat! One of the most impressive areas at Folly Farm is the Vintage Funfair. Again, this area is undercover and has every type of fairground ride you could imagine. There is a carousel, dodgems, ghost train and waltzers just to name a few. These rides are payable extra via a token system. In the same building, there is one of the largest indoor play areas I’ve ever seen. This is great for older toddlers, but smaller children will like the special soft play area specifically for Under 6s. There is plenty of seating around this area for parents too. Outside there are sandpits and outdoor play areas, and a giant ferris wheel. There is also a land train which takes visitors on a tour of the park. There are loads of food outlets throughout the farm ranging from a restaurant serving hot food options to a café serving sandwiches and ice cream outlets. 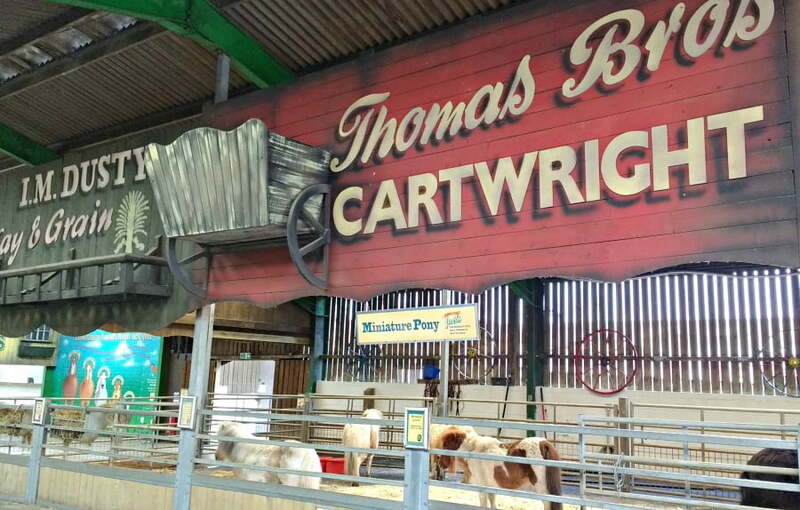 Is A Day Out At Folly Farm Baby and Toddler Friendly? 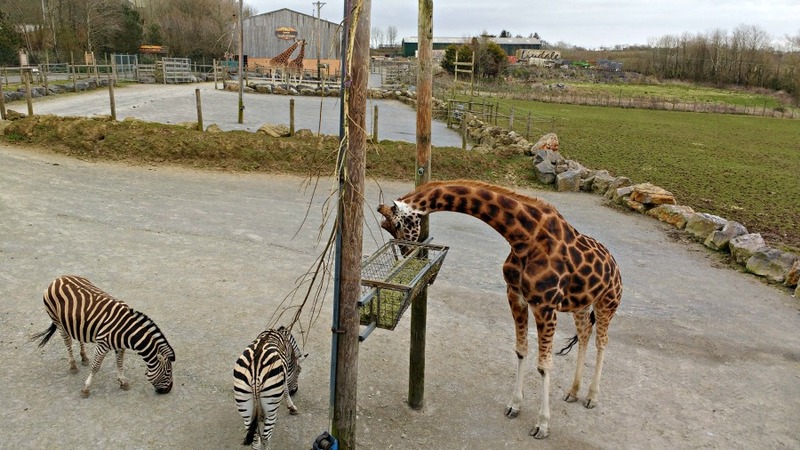 Folly Farm is definitely a toddler friendly day out in Pembrokeshire. Babies and toddlers will love seeing the animals in the zoo and farm, and there is a special Under 6’s soft play area in the Carousel Woods area. Train mad toddlers will love a trip on the land train, and also playing in the sand pit and on the giant diggers. There are rides in the Vintage Funfair which are toddler friendly too. Parent and Baby Room in the Vintage FunFair if you want to breastfeed. Sincere thanks to Folly Farm for the tickets for our visit.